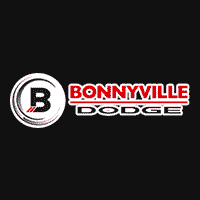 Why Buy From Bonnyville Dodge? On New Vehicles, we strive to offer fair and consistent pricing to everyone who walks through the door. We understand that our pricing has to be very aggressive to earn your business and we’re willing to back it with a price guarantee. If we can’t match or beat the price on a new vehicle of similar specs we’ll cut you a cheque for $1000. We also understand that you don’t want to waste time during the buying process so we’ll put our best foot forward right off the bat. No hassles, no smoke and mirrors, just the straight goods, how the shopping experience should be! On Used Vehicles we use a system called VAuto which gives us real time market data right down to the year, make, model & odometer reading. This gives us the advantage of knowing exactly how similar vehicles are priced in the market relative to what we are offering. We know we have to be competitive and would be more than happy to share this market data with you so that you can make an informed decision with knowledge and transparency. This tool allows us to consistently pay more for trades than other dealers because of the information we have at our fingertips. All of our used vehicles also go through a complete 110 Point Inspection and come with a Carproof so that you can enjoy worry free driving for years to come! When it comes to Servicing we pride ourselves in maintaining the latest tools, diagnostic equipment and trained technicians available to fix your vehicle right the first time, at a competitive rate. We invest heavily in training our technicians knowing that vehicles and the systems they contain are becoming more and more complex. Don’t trust your Chrysler, Dodge, Jeep or Ram product to anyone but the pro’s! We are happy to work on any other makes and models as well and look forward to welcoming you in our service department! Looking to accessorize your vehicle or need a part for a repair? We pride ourselves in maintaining a fully stocked and efficient parts department that can get you the parts or accessories you need quickly at the right price! We won’t be beat on Tires and are hooked up with the biggest suppliers of Accessories so that our pricing and availability is unmatched! At Bonnyville Dodge we believe that it’s what’s inside that counts! We strive to fill our humble facility with the best and happiest people possible! We realize that happy employees translate to a better experience for the customer and we work towards this goal in our hiring, personal and professional development and in the culture that we maintain. Our modest facility with extremely low overhead allows us to be competitive in every aspect of the business, price is not a factor in trying to earn your business! As your friends, neighbors and community supporter we look forward to earning your business and serving you for years to come.